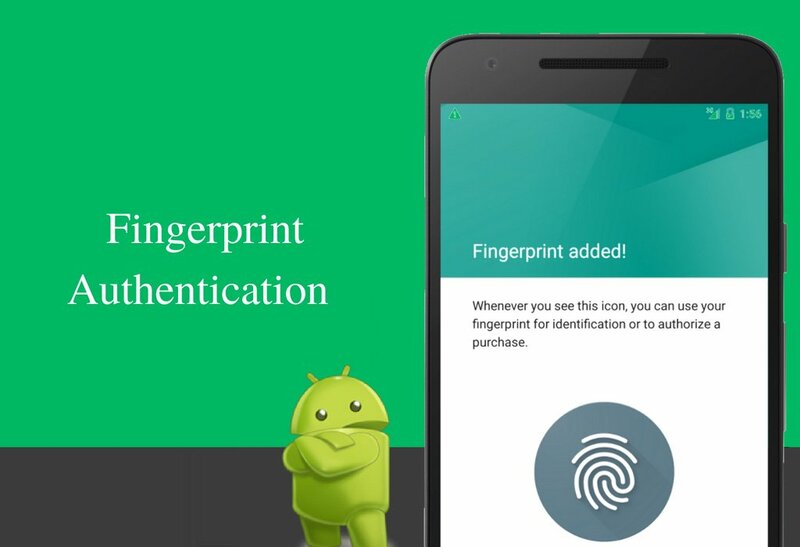 Android versions 6.0 (marshmallow) and onwards come with finger print authentication support. It is a more convenient way for users to get authenticated with a single touch. To achieve this goal finger print sensors are used to verify the identity of the user. It is a rather new security feature that has been used in mobile devices for quite some time now initially to help user's lock their home screens to now facilitating them to secure their applications by integrating this feature in-app-payments. This has helped replace the need for username and password with a single finger touch. This feature is the more favorable, speedy and far easier method to get authenticated to a sensor by only a single touch rather than entering a PIN. I am showing you the simple android application in which I have implemented user interface for the fingerprint authentication just to authenticate the user by swiping the finger over the home key and used the android standard fingerprint iconin my layout which I have placed in my project’s drawable folder. The app will start processes the input provided by the user with the help of fingertip against the device touch sensor. No more resetting of the password: Mostly, people use to forget their passwords and in order to get them back, they have to follow the procedures of resetting the password which is very irritating and annoying for the users. So one can recover or reset the password, but obviously, he has to pass through the little pain. It will waste their time and also require the user effort, so by adding up the fingerprint authentication feature, you are relaxing the user by no more recoveries or resetting of the passwords. One of the quickest way to verify user identity:The traditional methods such as PIN code, pattern swiping or passwords are although the effective ways, but we can’t deny that requiring the input from the user add ups an extra effort to the user experience. In addition, memorizing these passwords, PIN codes and patterns are also very difficult for the common users. So touching by the fingertip is far easier than recalling the passwords or the PIN codes as it provides both the safety as well as the effortless user experience. Unique identification: Even if the user uses the strong passwords for the security, there is no guarantee that no one can hack that password. In this way, one can make the security feature even more insecure. The fingerprint is unique and no one can hack or access the fingerprint so we can say that it is 100% secure and cannot be accessed by any spyware. No more struggle with typing a long password: Not only longer passwords are difficult to memorize, but also it is difficult to type on the small mobile screens. Even if the passwords are stored in your app cache and you have to type it once per session, still it can be the most annoying experience for the user. So no one wants to type a long and complex password rather than this everyone will prefer a single touch authentication without creating any messy situation. No need to memorize fingerprints: Everyone is busy in the day to day task and it is difficult to memorize so many passwords and PIN codes. So instead of the long password that includes different symbols and keywords, it is better to open up the lock screen by a simple fingerprint authentication method which is not only easy but also secure at the same time. Manifest file is the configuration file of your project.You need to include all the activities and add all the permissions of features you are using in your application .Therefore in this projectwe are going to implement the simple android application that uses device touch sensor toauthenticate the userand will require the access for it to receive fingertip touch event. In order to make your app functioning on touch sensor you must include the below given permission in your project’s manifest file. 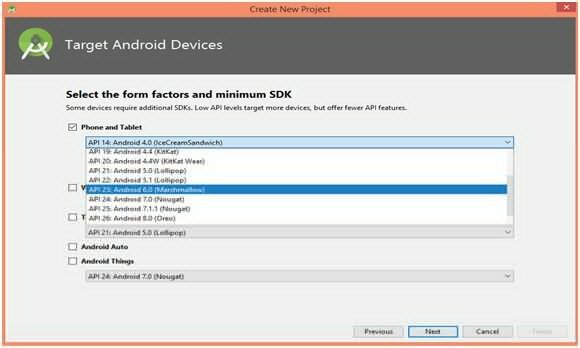 feature in your app will allow users to install your application only on devices that satisfy all of these hardware requirements. In your manifest file you should mark the touch sensor feature as preferred but not required If your application can function without a fingerprint sensor. 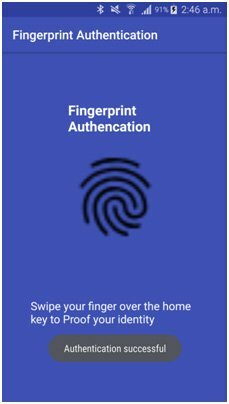 This allow users to download your application even if fingerprint sensor is not supported by their devices and the app will be checked at runtime for the presence of fingerprint sensor and then disable its fingerprint authentication features, where appropriate. Download the standard fingerprint icon here https://material.io/tools/icons/?style=baseline that is suggested you to use for displaying whenever your app demands fingerprint authentication from the user and this icon is provided by the Google. You are using Android device 6.0 or higher version. The device you are using supports fingerprint sensor feature. Users must have registered at least one fingerprint on their mobile device. 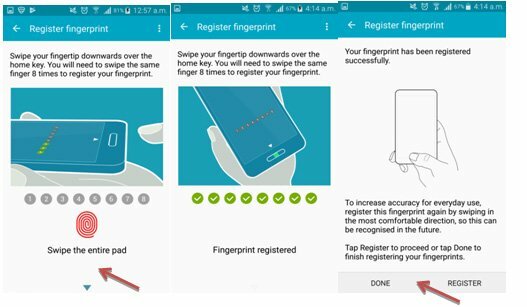 The user has granted app permission to access the fingerprint sensor. Make sure that the users have protected their lock screens with either a pattern, password or PIN code before proceeding. If any of the above requirements will not fulfill then your app will immobilize the features related to fingerprint authentication. To achieve the actual authentication, we need to create the key cipher and CryptoObject for it and the instance of aFingerprintManager class to verify the users. Initialize the instance of keyguardManagerand FingerprintManagerclasses to use them to call their methods. Inform users with the toast message if the Fingerprint sensor is not available in their devices. Check the user has granted your app permission, if not then prompt the user to enable fingerprint permission. 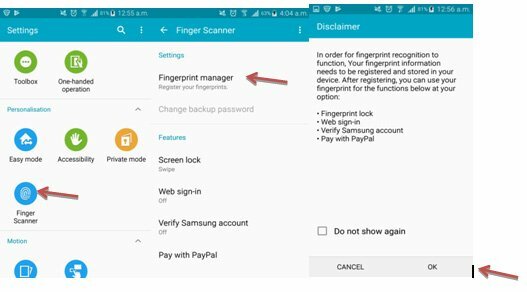 User must register atleast one fingerprint in the device settings. The process of fingerprint authentication will start once all the above conditions will be true. intializeCipher() method is used to inilialize the cipher. After a successful initialization of cipher , the cipher instance will be used to create an encrypted CryptoObjectinstance.Assign the CryptoObject to the instantiated FingerprintManager. generateEncryptionKey() method will be used to create the app’s encryption key. onAuthenticationFailed() method will be called when the user’s entered fingerprint doesn’t match with any of the fingerprints registered on the mobile device. onAuthenticationSucceeded() method will be called when the user’s fingerprint matches with the fingerprint saved on the device. The helper class which is responsible for handling the authentication methods and triggered them to process various callback events which all depends on the type of authentication whether it is failed , succeeded or giving an error.